SEATTLE, Sept. 24, 2013 — What do President Bill Clinton, Morgan Freeman, Justin Bieber, Scarlett Johannson and Ozzy Osbourne have in common? They are among the people using their social media channels to encourage their followers to support the Flash Flood for Good campaign. Already dubbed “We Are The Digital World,” Flash Flood For Good has garnered the support and social media feeds of Justin Bieber, Hugh Jackman, Cristiano Ronaldo, Pitbull, Kevin Bacon, Sky Blu, James Blunt, Blush, Jeff Bridges, Colbie Caillat, Celine Dion, Hilary Duff, Melissa Etheridge, Morgan Freeman,The Game, Whoopi Goldberg, Bob Guiney, Arsenio Hall , LL Cool J, Scarlett Johansson, Juanes, Dave Koz , Drew Lachey, Nick Lachey, Cyndi Lauper, Florida Georgia Line, Alana Lee, Limp Bizkit, Austin Mahone, Matthew McConaughey, Mac Miller, Ozzy and Sharon Osbourne, Psy, Megadeth, Rowdy Roddy Piper, Alejandro Sanz, Jeff Timmons, Robin Thicke, Rob Thomas, Louis Van Amstel, 98 Degreesand others. Watch the video available at http://bit.ly/1dGu1ea to learn more about Flash Flood for Good. CGI also convenes CGI America, a meeting focused on collaborative solutions to economic recovery inthe United States, and CGI University (CGI U), which brings together undergraduate and graduate students to address pressing challenges in their community or around the world, and, this year, CGI Latin America, which will bring together Latin American leaders to identify, harness, and strengthen ways to improve the livelihoods of people in Latin America and around the world. 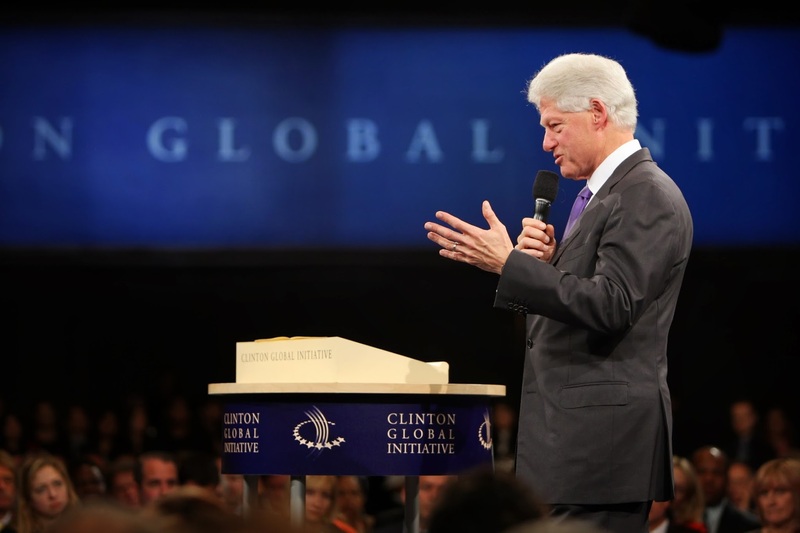 For more information, visit clintonglobalinitiative.org and follow CGI on Twitter @ClintonGlobal and Facebook at facebook.com/clintonglobalinitiative .